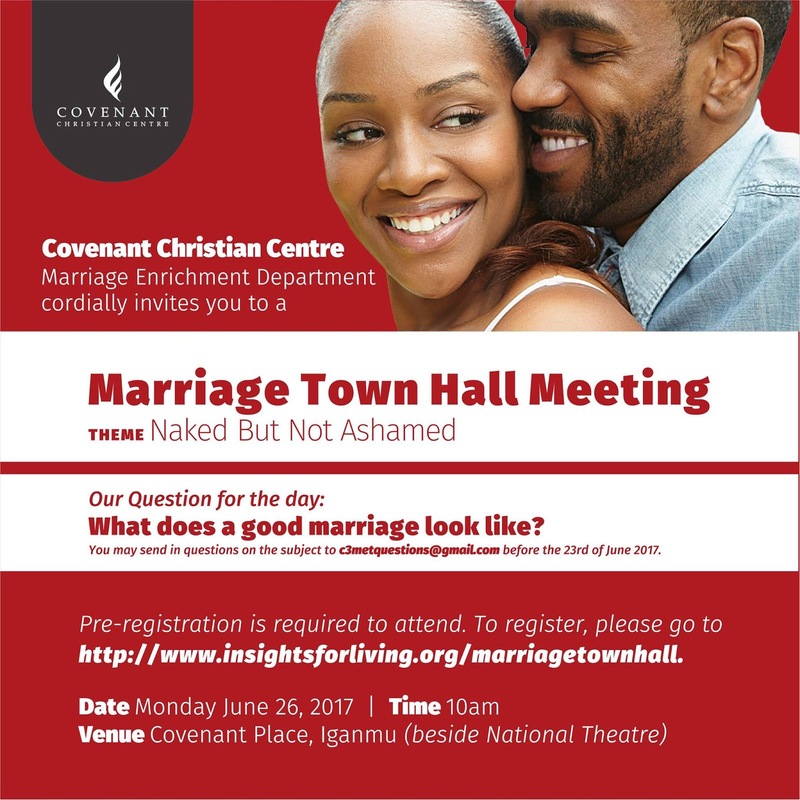 The Marriage Enrichment Unit of Covenant Christian Centre is holding a marriage town hall meeting for married couples. The theme of the meeting is "Naked but not ashamed"
Date: Monday, 26th June 2017. Pre-registration is required to attend. To register, please go to http://www.insightsforliving.org/marriagetownhall. You can send in questions on the subject to c3metquestions@gmail.com before the 23rd of June 2017.